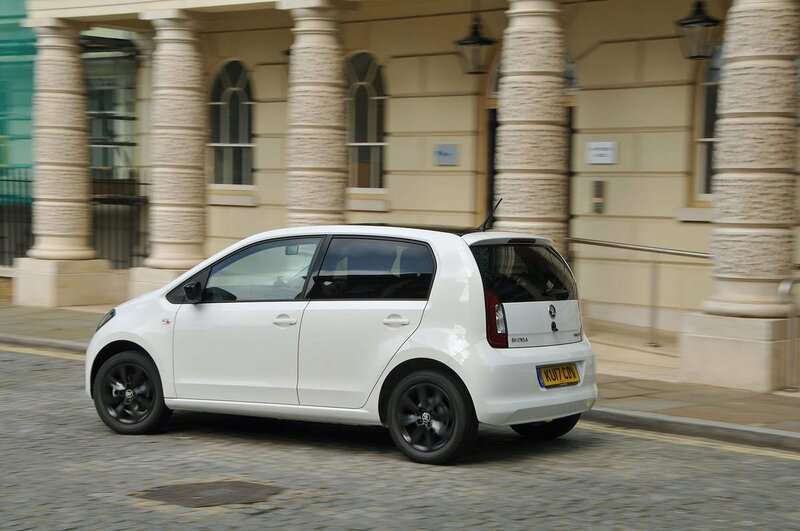 Skoda Citigo Running Costs, MPG, Economy, Reliability, Safety | What Car? The Citigo is cheaper than the virtually identical Seat Mii and Volkswagen Up, so it makes a lot of sense for those on a tight budget. It’s price compares well to most other city cars, too, although the Suzuki Celerio is even cheaper spec for spec. As you’d expect, running costs are suitably tiny, helped by engines that are economical on paper and also in our True MPG tests. The 59bhp model averaged an impressive 55.2mpg in our real-world fuel economy test. Insurance premiums will be extremely cheap, whichever Citigo you choose; in fact, the 59bhp version qualifies for the lowest insurance band of all, so is ideal for young drivers. 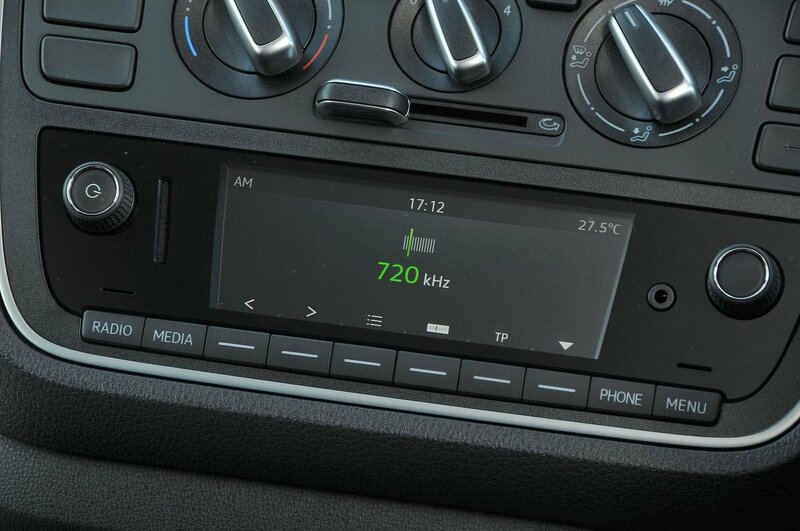 The Greentech model makes most sense for company car drivers, thanks to its low CO2 emissions. However, all versions bring comparatively small benefit-in-kind tax bills. We’d avoid entry-level S trim because it misses out on air conditioning and alloy wheels. SE trim makes much more sense because it gets both of the above as well as electric front windows, a rev counter and a more advanced infotainment system. In fact, it gets all the things most city car buyers will want or need. If you require more creature comforts, the more expensive trims include SE L and Monte Carlo, both of which get a leather-wrapped steering wheel as well as a smarter-looking interior. Monte Carlo is a style-focused trim that's distinguished by special upholstery with a black and red theme, sports suspension – which doesn't do much for the ride – and various eye-catching details, whereas the more luxury-focused SE L gets heated front seats and rear parking sensors. The Colour Edition model is based on SE trim but gets bigger 15in wheels and different colour schemes. Unless you're desperate for the extra style, we suggest you stick with SE. Like all other Skodas, the Citigo is covered by a three-year/60,000-mile warranty and one year’s breakdown cover. This is a match for the cover provided by Volkswagen and Seat, but falls short of the five-year/100,000-mile warranty you get with the i10. Good-value extended warranties are available to cover your Citigo for up to five years or 100,000 miles, though. The Citigo ranked third out of five city car entries in the 2018 What Car? Reliability Survey, beaten by the i10 and the Suzuki Celerio. Skoda as a whole also did okay, scoring 7th place out of 31 manufacturers, so you shouldn't need to worry about any major issues during ownership. Stability control and a tyre pressure-monitoring system come as standard on all versions. City Safe, an automatic emergency braking system that helps prevent low-speed collisions, is a reasonably priced option across the range (though isn't available on entry-level S trim). When a crash can’t be avoided, passenger protection is provided by twin front and side airbags to protect front passengers. There are no airbags to protect anyone sitting in the back, but the rear seats do have Isofix child seat-mounting points. The Citigo achieved the maximum five stars in Euro NCAP testing, although that was back in 2011 under the independent specialist's earlier test regime. Meanwhile, security experts Thatcham Research awarded the car four out of five for resistance to being stolen and three out of five for resistance to being broken into. Both scores are competitive by the standards of the city car class.